A great appetizer for a party! Slice potatoes and place on a baking sheet with some olive oil. Season with garlic powder, salt, and pepper. Bake in 450° oven about 20 minutes, until fork tender. 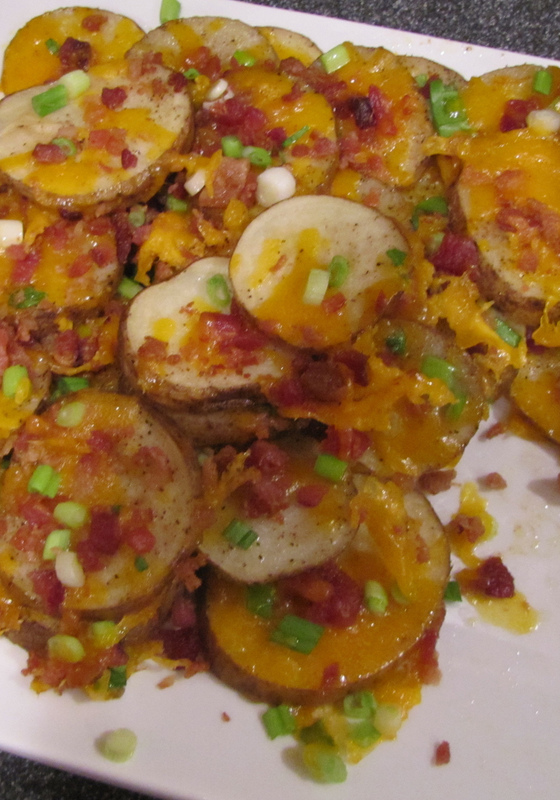 Remove from oven, and top with cheese, onions, bacon, and a little more cheese. Place back in the oven for about 5 minutes until cheese is melted. Serve with sour cream.